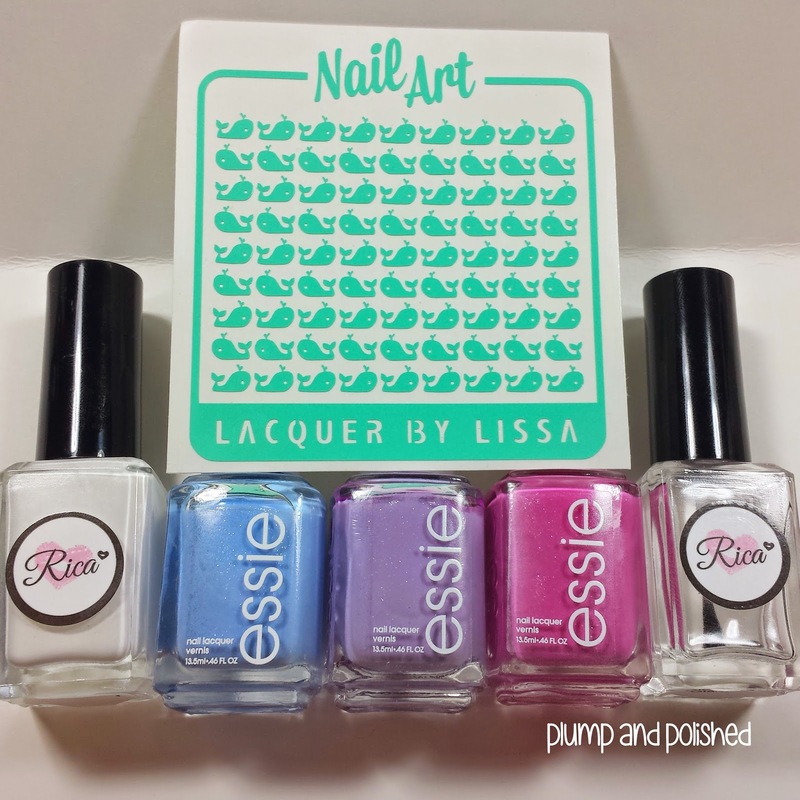 The lovely Melissa for Lacquer by Lissa recently contacted me about reviewing her new nail decals. She was super sweet and asked me what I would like to see. My first thought was WHALES. 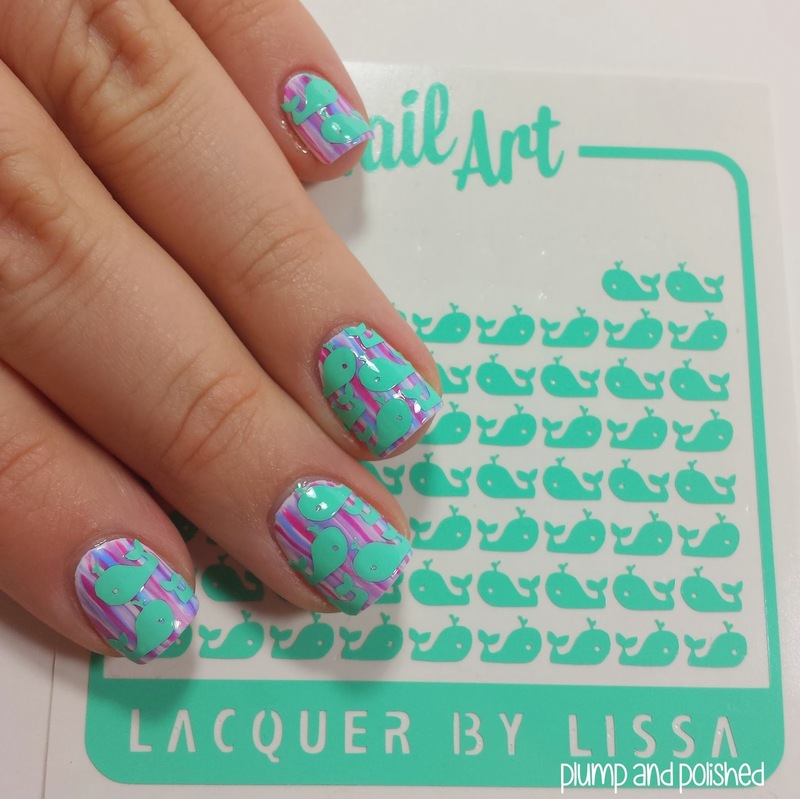 I love whales and these decals are adorable! She even sent me gummy whale candies in my package. I was smitten. It was the cutest! To find out how you can get this look, keep reading! This might look hard to do, but I promise it's not. With a long, thin striper brush, I layered the three Essie shades over white until I got a nice amount of color. Once I was finished, I added top coat. 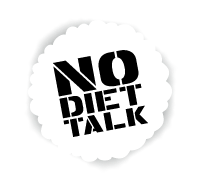 I didn't think to do a tutorial at the time, but I can do one in the future if anyone needs it. Personally, I've never seen nail art quite like this. I'm not going to say that I invented it since I can't confirm that I was the first. I wasn't sure what to call it and a few girls in one of my Facebook groups said it looked like ribbon candy. Hence the name. Shipping is only $1 for your first item! I LOVE THIS LOOK. These decals were easy to apply and held strong for the few days I wore them. Plus, the striped background was the perfect compliment for them. 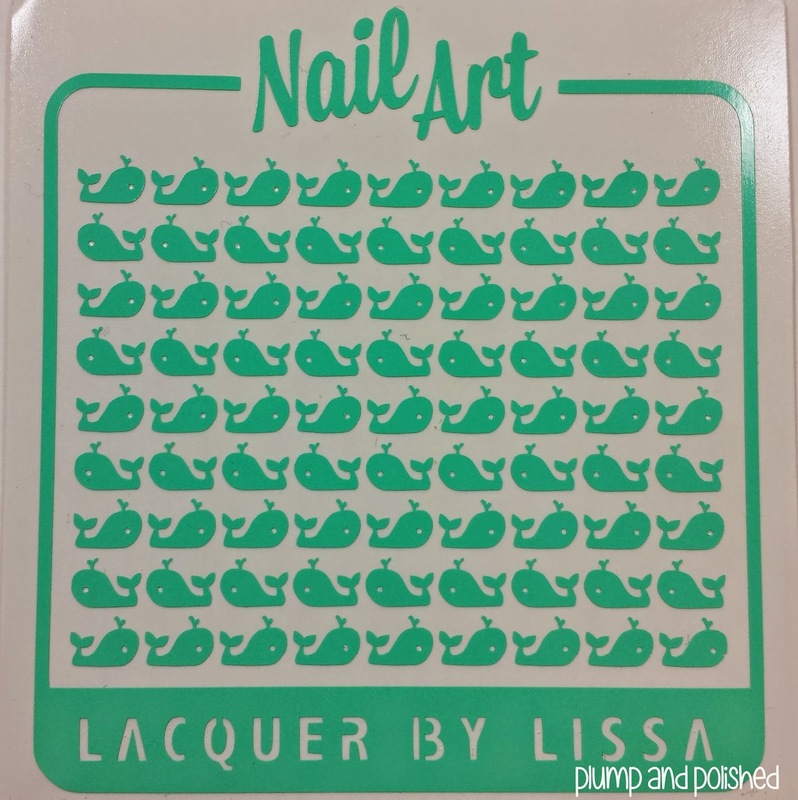 Lacquer by Lissa whale nail decals plus lots of other designs can be purchased here. 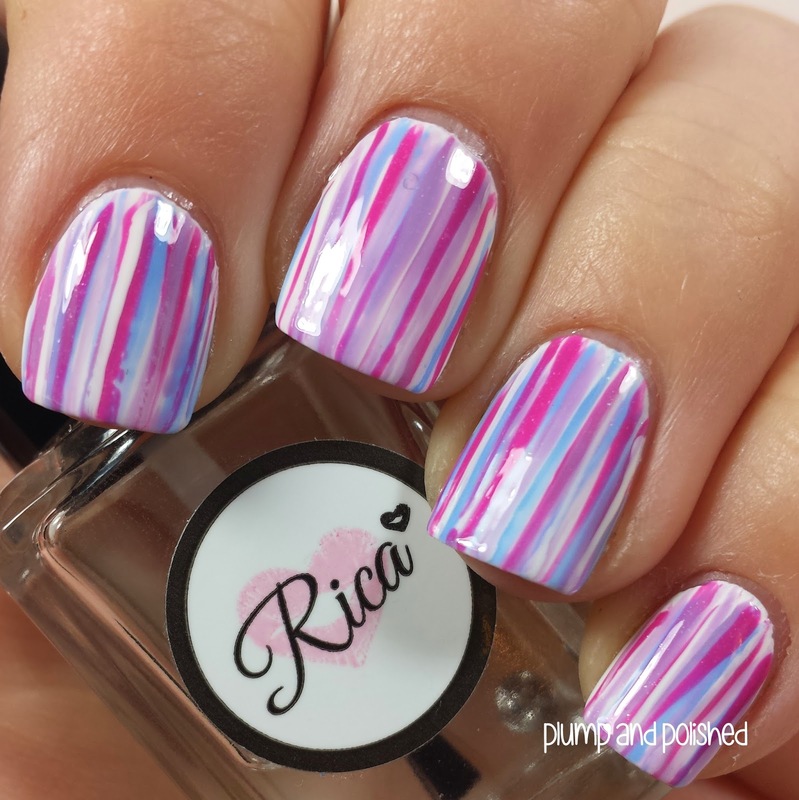 Be sure to follow Lacquer by Lissa on Facebook! They're my favorite decals ever! 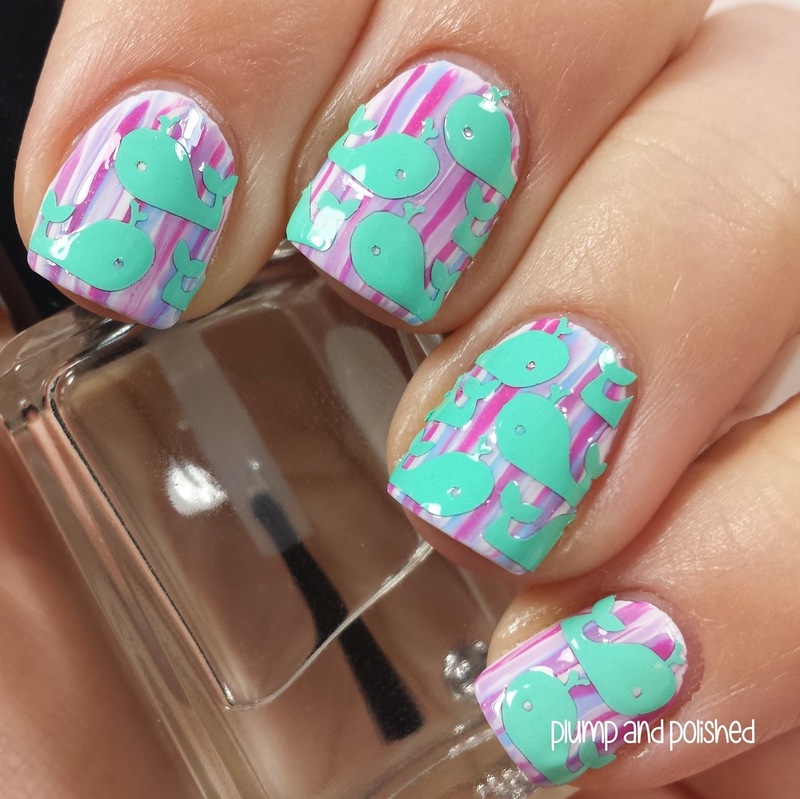 Such cute little whales and I love the background you went with! So yeah...I need a tutorial! I need to know how to do this technique properly because I just got so many ideas that just popped in my head when I saw this. Like adding bows! !